Independence Day is upon us again, and it's a day that means many things to many people. 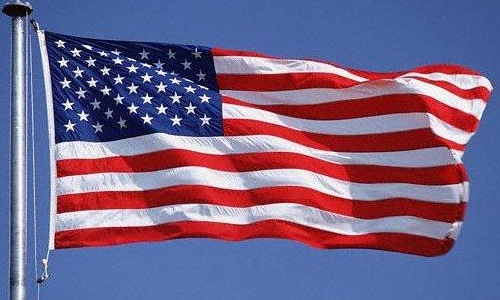 For some it's a bombastic display of American pride, and for others a more solemn day of reflection over what the stars and stripes really mean. For practically every red-blooded American citizen, though, it's usually a day of celebration: fireworks, friends, good food and hopefully some great movies along the way. 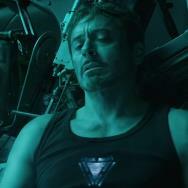 A lot of people usually look at July Fourth and think only of action movies, and it's easy to see why: it's at the height of the summer movie season, when theaters are dominated by blockbusters and the unadulterated American spirit really comes through in cinema houses everywhere. So, I've compiled a list of five films that I think are very fitting to watch on the Fourth of July. Some of them are outright action vehicles whose value is in getting to the gung ho, flag-waving American spirit, and others are a bit more somber and reflective of what those stars and stripes really do mean for the people on this Earth who are fortunate enough to live under them as our national symbol. How can you go wrong with a movie named for the holiday? When ID4 came out, I was eight years old, and it scared the living crap out of me. It was by far the most realistic alien-invasion movie I'd ever seen, and because I was a pretty stupid kid, it made me really feel like that kind of alien invasion could happen tomorrow. 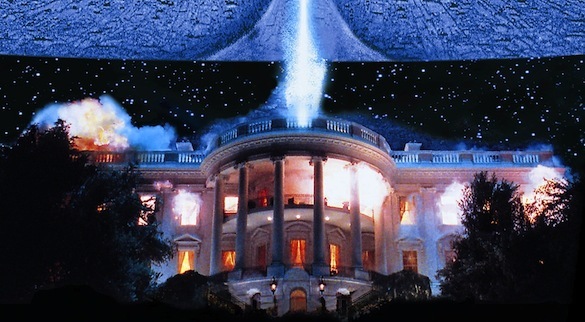 It also got me cheering for America in a pretty big way, so much so that when we got it on VHS I'd actively yell out quips about the creepy aliens not being able to handle the red, white and blue. Even though it doesn't have as much substance in plot as some other films on this list, it has a surprising amount of great character moments that really help to flesh out who the important people are in the scheme of the plot. Good performances by Bill Pullman, Judd Hirsch, Jeff Goldblum, Mary McDonnell, Vivica Fox and Will Smith all help to give you a bit of a stake in what happens next, and that overriding American spirit is very hard to resist. From the iconically framed shots of the flag to the inspiring portrayals of the military (plus that badass speech delivered by Bill Pullman to the other pilots in the film's climax), Independence Day stands as a very worthy film to watch for unadulterated fun on the Fourth of July. A superhero wrapped in the American flag fighting Nazis during World War II? How could this movie not be on this list? In a lot of ways, The First Avenger is my favorite of the Marvel Studios films. 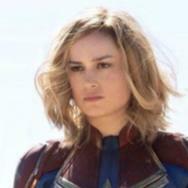 It's a romanticized conception of the period in which it takes place, sure, but Chris Evans' first performance as Steve Rogers really helps give the idea that this film is all about the ideals of America: the working spirit, the aspiration and the desire to achieve at superhuman levels. Captain America, as a character appearing in Marvel since 1941, has always exemplified the best of what it means to be an American. Superman has a similar conception, but he's not as rooted in nationalism as Cap is. Cap doesn't use that symbol to be a bully (as he says in the film, he hates those) -- he uses it to be the best he can be. 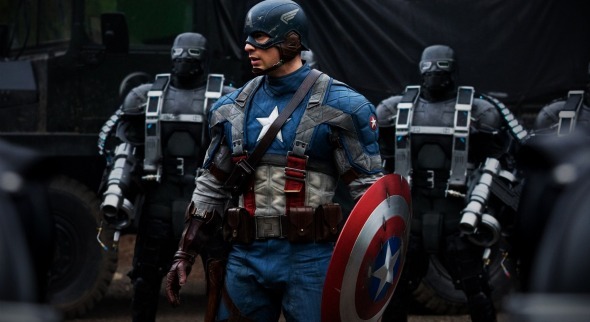 Beyond those ideals, The First Avenger is just an immense amount of fun in the greatest of summer movie traditions, and is tied inexorably to many of the exact things that we gravitate to in celebrating our independence. With an undeniably charismatic antagonist in Hugo Weaving's Red Skull (to me, Marvel's most evil villain in comics and in film thus far) and a plot that tries to show how the best of American ideals can allow us to excel beyond imagination (with a little help from a super-soldier serum), it's definitely a fun and rewarding movie to watch for the holiday. While The Patriot is by no means a film to watch when it comes to historical accuracy, it is a well-made history-themed blockbuster. 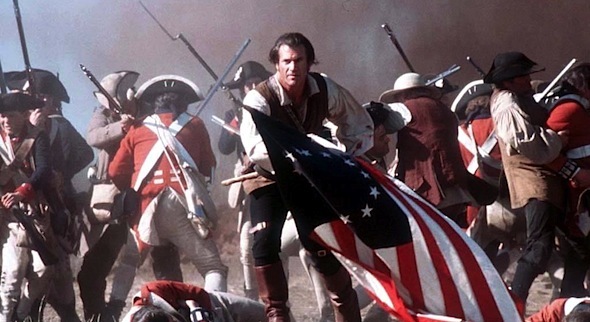 Also directed by Independence Day's Roland Emmerich, The Patriot gave us a hero representative of four real-life Revolutionary War soldiers that fought back the tyranny of the British by the Americans in the formative period of our nation. The Patriot should not be relied upon for any semblance of educational value, but it definitely aims to show the audience a rousing adventure story that, while perhaps making too many uncomplicated caricatures of British Empire figures, definitely has you feeling great about the spirit of America when the experience is all said and done. The focus on character in this film is very similar to the way that Emmerich constructs Independence Day, in that everyone is very fleshed out a great deal by the time the credits roll. The action is pretty heartstopping in places too, especially considering what Emmerich had to work with. For today's audiences (or in this case, the audiences of 2000), it might be difficult to make an exciting film where war consisted of marching in straight lines and reloading muskets. He made it work, though, and a great deal of the belief in action came from both the development of the main characters, and the overriding badassery of Mel Gibson running through a battlefield carrying the flag of the colonies. That right there makes it a very fun movie to watch on the Fourth. Unlike the other entries, number two on the list isn't an action vehicle made to try and relay the greatness of America through fictitious means. Instead, Lincoln emphasizes why some of our most tightly held values through one of our most tumultuous times have endured, even through today. When it comes to celebrating our independence, and by extension everything that makes America great, Lincoln delivers a portrait of perhaps our most beloved president in perhaps the most revealing and realistic way to date. Explaining why Lincoln is a great movie to watch on the Fourth of July comes close to an exercise in redundancy, so instead of trying to explain it broadly I'll try and focus in on why I think it's important. Abraham Lincoln is, unequivocally, the icon of American history that I most admire. This isn't a unique admiration, obviously, as anyone from the most informed of presidential historians (like Doris Kearns Goodwin, author of the book from which much of Lincoln was largely based) to the most typical American citizen off the street have both unending admiration and incredible amounts of love for our 16th president. 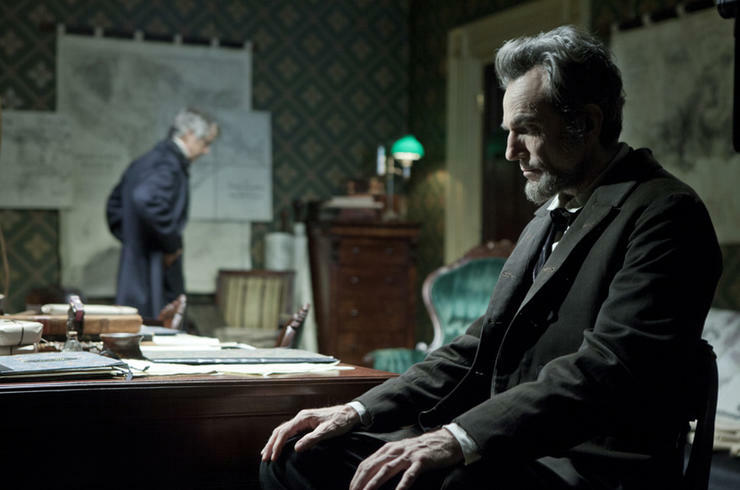 Steven Spielberg's direction coupled with Daniel Day-Lewis' iconic, informed and careful performance really help to make the film a celebration not only of the legacy of Abraham Lincoln, but of how men like Lincoln have contributed to everything that is good and just about the spirit of the United States of America. That's why I feel this is a no-brainer addition to a list of films to watch on Independence Day. While all of the previous films on this list have had a degree of outward optimism when it comes to the ideals of America, what is arguably the greatest American cinematic work ever is a bit more cautionary. 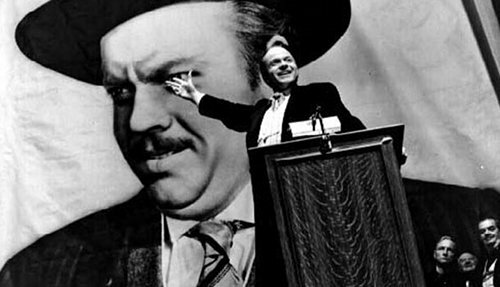 I'd argue, though, that Citizen Kane is perhaps the most patriotic American film ever constructed, because the timeless story of Charles Foster Kane is a testament to the American Dream, and just how much someone can achieve. While Kane had a lot of advantages in his life, he also took a lot of risks, which came with a fiery sense of idealism that informed his outlook on business and on life. The movie begins, of course, with the end of Kane's life, but that incredible newsreel highlights Kane's unrelenting belief in the United States of America, while also echoing what one of the early titles for the film was. When Kane is accused of being a "communist" by his elderly banker, and a "fascist" by the leader of a boycott of Kane's papers, his response was, "I am, have been, and will be only one thing - an American." As a patriotic piece of film, Citizen Kane is a little subdued especially when compared to what might be considered typical Fourth of July fare. Citizen Kane is a bit of a cautionary tale about the dark side of patriotism, but it's still an incredible and pragmatic look at the life of what an American icon could look like. Beyond that, Kane is worth watching on the Fourth of July just by virtue of its place as an incredible piece of American cinema, and it can really be examined in new ways no matter how many times you've seen it. In equal parts, it attempts to paint a moving, joyful and melancholy portrait of an American tycoon, with an unrelenting belief in the foundations of the country only underlining the tragic life of Charles Foster Kane. Anyways, those are my picks for good American films to watch on our Independence Day. I tried to get a good breadth of patriotism, from the gung ho to the muted, and from the optimistic to the... less optimistic. What do you think are great movies to watch on the Fourth? Sound off below! Grant Morrison returns to the Dark Knight this week in the form of Batman Incorporated #12, the penultimate issue of his six-year run with the Guardian of Gotham. After the death of his son at the hands of Talia al Ghul and the Leviathan terrorist organization, Batman is on a rampage for vengeance and justice, and is ready to put down Leviathan once and for all. 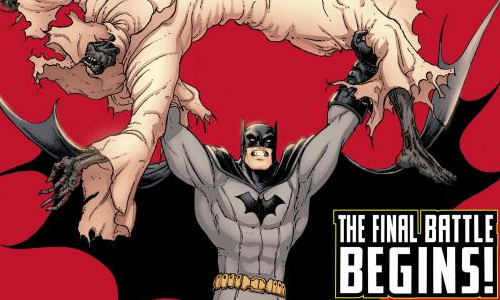 In what will undoubtedly be a bittersweet moment for a lot of Batman fans worldwide, the end of Morrison's run will truly be the end of an era and it'll be very interesting to see what he has in store going into the joining of the final battle. After Incorporated #13 next month, Morrison will be dialing back his presence on superhero comics except for a couple of smaller announced projects, but for my money his take on Batman has been a very rewarding and insightful reading experience that only comes along once in a lifetime. 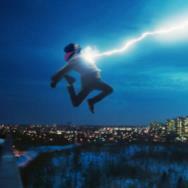 If you've been following up until now, Incorporated #12 is not to be missed. That does it this week on the Geek Beat! I hope everyone out there has a happy, safe, and inspiring Fourth of July, and that you celebrate America's independence in the best way you know how. Of all the movies on the list here, the one I've elected to take in that day is Lincoln. What's your list? What will you be watching in between the lighting of bottle rockets? Let us know in the comments!